TDS Telecom (TDS®) President and CEO Dave Wittwer announces the retirement of senior executive, Kevin Hess. Hess is the executive vice president of Government and Regulatory Affairs at TDS Telecom. He intends to retire at the end of 2017, after serving the company for the past thirty-three years. 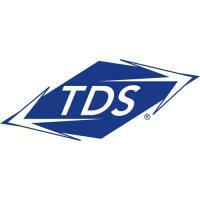 “I have truly enjoyed working with Kevin throughout his entire career at TDS. I will sincerely miss his guidance, his strong forward-looking leadership, and his commitment to making the company the best it could possibly be,” states Wittwer. Drew Petersen, currently vice president of External Affairs and Communications, was named as Hess’ replacement. Petersen will assume the leadership role of the Government and Regulatory department later this year following a collaborative transition period during the next few months. Hess joined TDS Telecom in April 1984, arriving from Kiesling Associates where he spent eight years in public accounting—with TDS Telecom as one of his key clients. Since joining TDS, Kevin has held a number of different positions within the Government and Regulatory area, and recently added leadership responsibilities for Human Resources and Legal Affairs. He also serves as the TDS Telecom Data Privacy Officer. Externally, Kevin has made tremendous contributions on behalf of the company and the communications industry, regularly being recognized by his peers and policymakers for his institutional knowledge and policy expertise. He was appointed by the FCC to serve three terms (1997 – 2006) on the Universal Service Administrative Company (USAC) Board of Directors.